NF-M antibody LS-C16810 is an unconjugated mouse monoclonal antibody to NF-M (NEFM) from human and rat. Validated for ELISA, Flow, IHC, IP and WB. Reacts with the 160 kD polypeptides of human neurofilament. It specifically recognize a phosphate independent epitope in the rod (core) domain of NF-M. Reactivity with lamprey NF-M has also been shown. 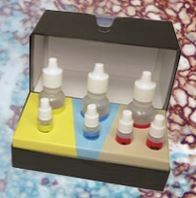 Suitable for use in Flow Cytometry, ELISA, Western Blot, Immunoprecipitation, Immunohistochemistry. Flow Cytometry: ELISA: 0.1-0.5 ug/ml. Immunohistochemistry: 5-10 ug/ml (paraffin-embedded or frozen sections). Immunoprecipitation: 2-5 ug. Western Blot: 0.5-1.0 ug/ml.